news Clothing and homewares manufacturer Pacific Brands has revealed it switched out VMware’s market-dominating virtualisation platform over the past several years, installing Microsoft’s rival Hyper-V system instead as it sought to take more advantage of virtualisation in its operations. According to the company’s technical services lead Brent England, the company’s virtualisation journey started in 2007. Pacific was initially using VMware’s ESX 3 platform to virtualise its central server infrastructure, which it eventually upgraded to version 3.5. The company kept on using the software for the next several years, but by the time 2010 rolled around, the situation had started getting a little uncomfortable. England says by that time, Pacific was experiencing a number of performance issues which were causing some of its staff running its business applications to complain. Looking back, the executive says that a number of the problems were related to technical constraints inherent to VMware’s platform of the day. Pacific was using HP’s Enterprise Virtual Arrays platform for storage on the back end, but VMware’s software was having hiccups with respect to the multi-path drivers which Pacific needed to get the right performance from its storage system. At the time, England said, VMware’s support team was telling Pacific that the issues would be resolved with native drivers coming through the pipeline in the next version (4) of ESX, compared with the generic drivers available in version 3 of the platform. This situation might have been resolved by the new version of VMware. But other factors also complicated Pacific’s situation. Because the organisation operates on an outsourced IT basis with its service provider HP, the licensing situation around its use of VMware’s products was a little complex. The company’s previous VMware licences had been OEM licences, so the organisation wasn’t covered for the new version 4 of VMware’s platform. At the time, as is fairly standard when it comes to enterprise deployments of software, HP didn’t want to immediately migrate to the new version of VMware’s platform when it was released, preferring to wait until VMware released version 4.1. But version 4.1, when it was released, would also have different hardware requirements from previous versions. Because of these issues, Pacific looked around for alternatives, and found an obvious one in Microsoft’s Hyper-V platform, which has picked up some early wins in Australia. While Hyper-V is known to have a more limited featureset compared to VMware’s platform, Pacific eventually came to the conclusion that there were certain aspects of version 4 of VMware ESX that the company would like to have, but which weren’t strictly necessary. 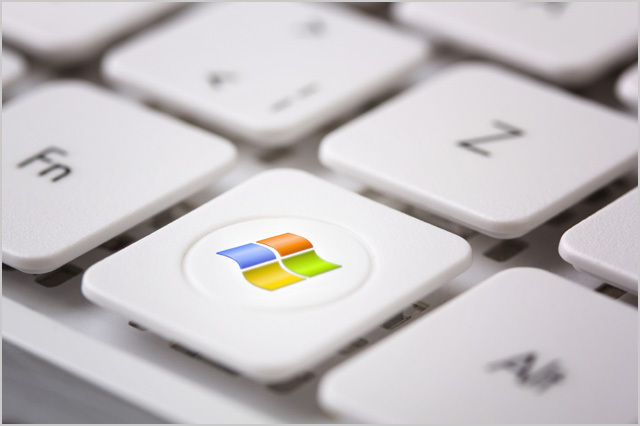 This realisation, combined with the fact that Microsoft had recently unlocked a critical Hyper-V feature in the Service Pack 1 upgrade for Windows Server 2008 R2, tipped the company down the Microsoft path. England notes that the company’s customer relationship management software, based on Microsoft Dynamics CRM, had between three hundred and four hundred users, and with prior versions of Hyper-V, the company wouldn’t have been able to allocate the 16GB of memory the software required. But the new version solved these and other issues. One of the positive aspects of the switch is that the company’s outsourcer, HP, was able to support the new Hyper-V environment pretty easily. “We Hyper-V we didn’t have to get any training done,” says England, noting that most of the required toolsets were already supported by HP, and that the company now had three to four staff managing the environment who hadn’t required extra training. There were “a few hiccups” along the way during the migration, but those were sorted out pretty quickly. Now, Pacific’s running between 18 and 24 host servers, supporting about 140 virtual machines. And it’s planning to cut that number down further to about 10 hosts supporting about 200 virtual machines. “Since we started this [project] we’ve deployed a lot of applications,” noted England, pointing out that Pacific has new JD Edwards and Hyperion financials installs, a new CRM system, a new SharePoint install and a new retail point of sale system. In addition, it has also shifted off IBM’s Lotus Notes system and onto Microsoft’s Outlook/Exchange platform. Prior to the Hyper-V project, it had about 60 virtual machines. The rollout has also had a positive impact on the relationships which England and his colleagues have with the rest of the business. Previously, the executive notes, he used to be regularly “called into a room” to talk about unvirtualising applications to help them perform better. Now there’s much more widespread satisfaction about the performance of the company’s applications. Broadly, what Pacific Brands has implemented for its applications could be described as advanced virtualisation or even potentially ‘private cloud’, under a managed services agreement with HP. England says the company has looked at extending the company’s platform out to more ‘public cloud’-type scenarios, but hasn’t really dipped its toe in the water yet. “We have looked multiple times at moving some of our email to Office 365,” he says, referring to Microsoft’s hosted email service. However, he notes the company is still committed to HP for some of the related infrastructure. HP seems keen to get Pacific into the giant new datacentre it’s building in Sydney, which would also be an option. And in a broader Microsoft sense, England says Pacific was also interested in looking at public cloud infrastructure such as Microsoft’s Windows Azure platform. “I think we need to understand how we can take some of our applications there,” he says. However, as a KPMG report released yesterday found about Australian views on the subject more broadly, England isn’t convinced “the tools are there yet” for cloud in total. For example, he mentions that Telstra wanted to build a private cloud infrastructure for Pacific, but said the telco was interested in providing a virtualisation layer, whereas what Pacific really wanted was to have its current virtualisation environment connected to another offering, so it could take advantage of another organisation’s vaster compute resources when it needed to. For more on Pacific’s migration, see this story on ZDNet.com.au, or a similar story on iTNews. Battles between competing platforms have a long history in the global technology sector. Windows versus Linux versus Apple. SAP versus Oracle. Salesforce.com versus Oracle. Microsoft versus Google versus IBM. And so on. For the longest time, VMware looks to have been on top of the still-young market for enterprise-grade virtualisation software globally. I would conservatively estimate that something close to … 100 percent of large Australian organisations are using the company’s software in one form or another. But over the past several years, we’ve seen a number of major Australian organisations implement Hyper-V ahead of VMware. IND Direct, Coles, the NSW Department of Education and so on; the list keeps on growing, and now Microsoft can add a notch labelled ‘Pacific Brands’ to its belt. I like this. I like this a great deal. Because, as much as VMware has done a fantastic job of making amazing products in this space, literally creating a whole new category of software in just a few years and revolutionising enterprise IT globally, it never hurts to have a little competition. In recent years the company had gotten a little big for its boots, with one local IT manager describing some of the terms around vSphere 5, for example, as gouging customers “beyond all semblance of what’s reasonable”. good to see microsoft making some real headway in this space. As for Hyper-V. Meh. The competition is good, but a far better choice would have been Citrix XenServer as a more mature, richer, and enterprise-grade solution. Cheers, I’ll fix the typo. To be honest I haven’t heard much about Citrix XenServer being used in Australia much recently — actually not much hype around Citrix at all. Perhaps the company is being quiet these days for some reason. Too right about the a little bit ig for their boots. If they keep increasing their prices we will go to Hyper-V as well. They are catching up pretty fast and once people start using it and getting MS Certs well that is the beginning of the end of VMWARE. I am actually surprised Hyper-V has made up so much ground so fast — it seemed that a few years back, it was actually quite crap. Now I’m seeing it in major deployments all over the place. Good to read an article that isn’t afraid to go into the “tech” and explain the “why’s & hows”. Great article Renai!